It takes a lot to make Commissioner Hogan’s CAP reform proposals seem green and fair, but today, that’s what the Agriculture Committee succeeded in doing. 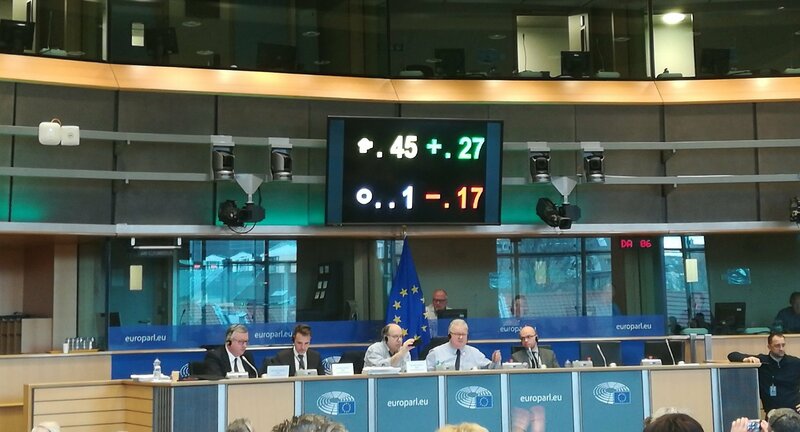 The Agriculture Committee in the European Parliament (EP) voted today by 27 votes to 17 (with one abstention) to agree its position on the proposal for turning the CAP into a series of member states’ “strategic plans”. This vote represents a significant weakening of the environmental and social ambitions for CAP reform which many NGOs and the broader civil society have been advocating for years. This Committee’s position is no final position of the EP though. As it is still ‘unfinished business’, the next Parliament will have the option to reject this and start anew, or amend it before sending it to the new mandate’s plenary for approval. MEPs voted to delete the current requirement for minimum space for nature on farms (Ecological Focus Areas) by 31 votes to 13 – whereas environment committee (ENVI) proposes increasing this from 5 to 7%. AGRI MEPs also voted to continue subsiding large intensive units, while the so called ‘Babiš amendment’ on conflict of interest failed to pass. By 22 votes to 17, the Committee voted to put 60% of CAP into direct payments, where only basic conditionality (essentially obeying the law and other good farming practices) will be required. This was accompanied by just 20% of the first pillar dedicated to so-called eco schemes. ENVI suggested a higher percentage – 30% – for eco schemes, which themselves are voluntary for farmers in any case. 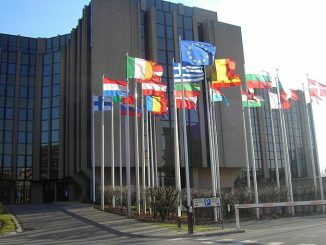 No specific money was earmarked for biodiversity protection or improvement, despite the ENVI committee’s proposal of 15 Billion Euro. Capping (the highest payment level for one operator) is set at 100,000 Euro, not the 60,000 Euro as proposed by ENVI. It will also be possible to deduct 50% of agriculture-related salaries, including taxes and social contribution, which will have the effect of making capping ineffective for the largest of farms. Commitments for “internal convergence” (leveling of direct payments within member states) has been strengthened through – 75% by 2024 (as the Commission proposed) has been brought forward to 2026, to reach 100% leveling out by 2027 , after a 22 to 20 vote on an amendment by the Greens and GUE-NGL on an amendment by Irish MEP Luke Ming Flanagan . This new delivery model is to include a mechanism that would hold member states to account by the Commission regarding their agri-food and rural ‘national strategic plans’. This delay represents a substantial delay in accountability (more details next week following the vote of the horizontal regulation). Transfers will still be allowed from Pillar II (rural development) to Pillar I (direct payments) , but just 5% and not the 15% as proposed by the Commission. Exceptions are suggested for Croatia, Poland, Hungary and Slovakia, who can continue to use rural development funds to compensate for lower direct payments. The committee refused to tackle, by just a few votes, this long-running problem of external convergence (leveling of payments at member state level, essentially between the western EU 15 and the newer members from the east) : Despite being promised back in 2002 the same level of direct payments as the older member states, the newer arrivals joining in 2004 and 2008 still receive lower levels. Rural development funding will be substantially cut up to 30% compared to current spending, will be exclusively targeted at farmers with few exceptions, and measures supporting broad and inclusive bottom-up rural development schemes like LEADER and CLLD will probably be weakened. However the CAP reform process is far from over. Both the AGRI and ENVI recommendations will be submitted to the next European Parliament, after elections 23-25th May. MEPs in the next Parliament can start afresh, or vote on the recommendations of these committees or amend them before going for a full Parliament (Plenary) vote. Last week, the AGRIFISH Council and the AGRI Committee in the European Parliament poured cold water on the environmental and results-based ambition of both the Commission and the Environment Committee. And this is not to suggest that the Commission’s proposal was strong to begin with: already, it automatically counts 40% of CAP direct payments as a climate expenditure! This is based on the OECD’s so called Rio markers, a formalised “guestimate” of climate-beneficial expenditure – the European Court of Auditors has already slammed this over-estimate, reaching only 19.2% for current direct payments. The AGRI committee has the job of voting on consolidated amendments for the three CAP regulations: the Strategic Plan (which is the main one, involving the big proposals such as the new delivery model and a move of some power over to the member states, but with Commission oversight), and also the Horizontal and the Common Market Organisation regulations. There were 123 (Strategic), 31 (Horizontal) and 61 (CMO) compromise amendments discussed on the 18th, distilled down from thousands of amendments: in the case of the Strategic plan, 5253 amendments tabled by members, and a further 670 by the six opinion giving committees. The Council progressed compromise texts based on what’s called the Presidency report (each of the six month presidencies make progress on the CAP files – the most recent being Austria then Romania) . Though the Council did not make any binding decisions, a major concern already with the presidency reports was the moving of many measures from compulsory to voluntary, thereby weakening the impact and ambition of CAP reform. Areas for consideration included permanent grassland, definition of farmer and young farmer, payments, areas of natural constraints, investment, intervention, reporting. Examples include the following: Whereas the commission proposed requiring training for young farmers, the national ministers propose making this voluntary. Defining genuine farmers would be voluntary, stricter capping would be more difficult (back up at E100,000 rather than E60,000 per farmer), redistribution to smaller farms would be voluntary. A weakening of nutrient management rules (nitrogen and phosphorus) was also put forward. Reporting – milestone-based in the Commission plan, is left up to the member state to decide. Performance reviews were to be annual according to the Commission: the Presidential review also weakens the terms here. 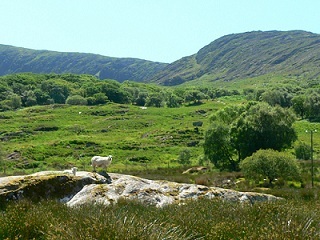 Ecological Focus Areas (EFAs) rules were weakened removed from cross-compliance as GAEC 9 was weakened; protections of wetlands and peatlands were weakened (GAEC 2) ; less cash (only 20%) was to be dedicated to eco-schemes. On the 18th both the national ministers (Council) and the AGRI Committee (MEPs in the agriculture committee) can, in general terms, be seen to have favoured reduced environmental ambition and weakening of the results-based focus in what the Commission had initially proposed. this was especially clear in the preference for moving many elements over from compulsory to voluntary. Agriculture Committee on the 2nd April agenda here) (meeting documents here).